2017 Venice Art Biennale, Austria Pavilion – Photo by Francesco Galli. 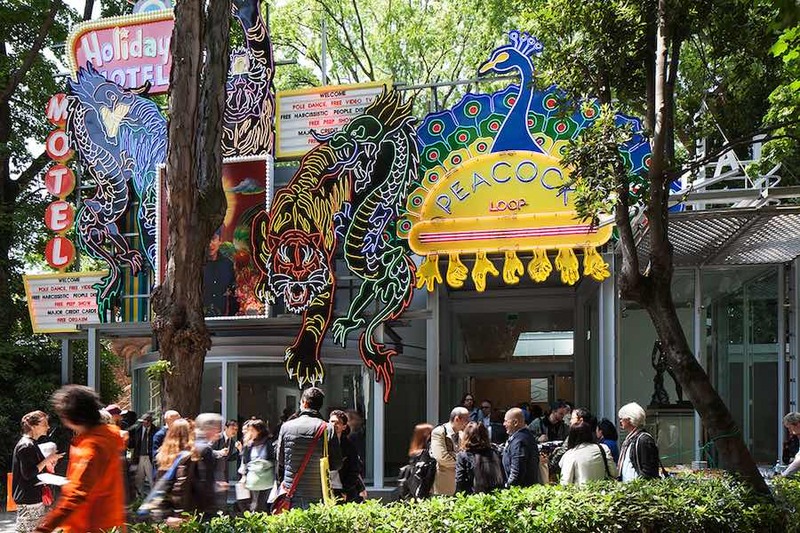 2017 Venice Art Biennale – The 57th International Art Exhibition showcases installations and exhibitions tuning with the theme VIVA ARTE VIVA. “This edition is designed for artists, by artists, with their practice in the centre” says curator Christine Macel of Centre Pompidou in Paris. 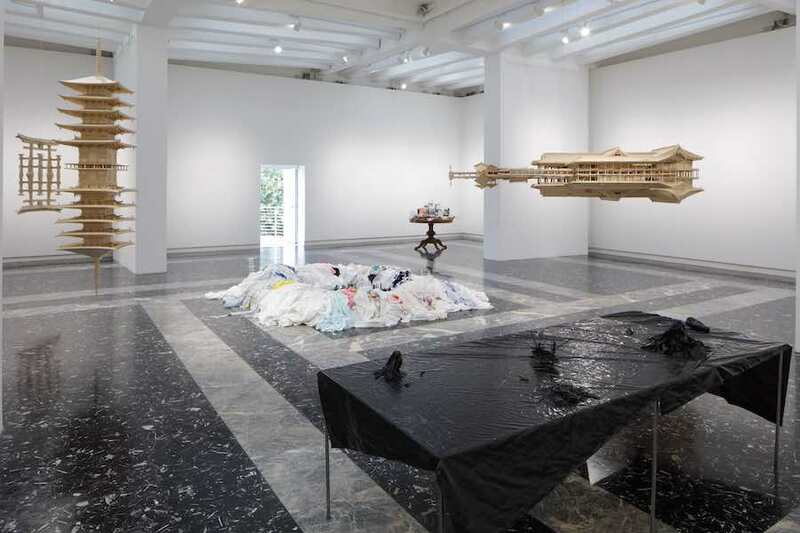 The oldest and most influential art show is open to the public until November 26 at the two main venues Arsenale and Giardini as well as many other exclusive locations across the city, some generally closed to the public. 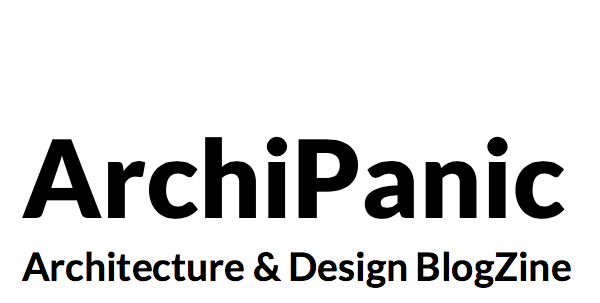 Archipanic selected 10 national participations where artists played with architecture to deliver their message. Photo by Jacopo Salvi – Courtesy of 2017 Venice Art Biennale. The Mondo Magico exhibition curated by Cecilia Alemani at Arsenale invites visitors to explore three dark installations created by Roberto Cuoghi, Adelita Husni-Bey, and Giorgio Andreotta Calò. In the first room, a maze leads to a workshop which produces ghostly Jesus Christ statues. On show also a video installation exploring the relationship between people and earth through tarots. In the second space, a large-scale installation relates with the architecture of the pavilion. A thin layer of dark stillwater mounted on an elevated platform reflects the the timber truss ceiling platform. A hostile exhibition occupies the Nazi era building accessible only by a side entrance as the main one is blocked by anti-riot wire fencing guarded by a pair of Doberman dogs. Once inside, a disquieting raised glass floor spans the white space. Below it, performers dressed in black sportswear crawl and move emotionlessly while metallic music echoes through the rooms. The FAUST exhibition points the finger at capitalist societies annihilating human identity. 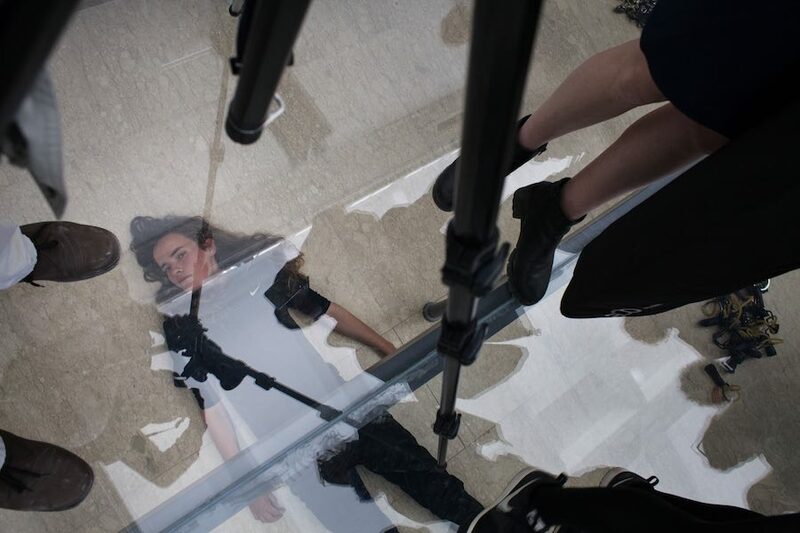 “Suddenly, we find ourselves in the midst of various constructions of power and powerlessness, capriciousness and violence, resistance and freedom.” Says Anne Imhof, curator of the Golden Lion awarded pavilion. “How can I represent the United States when I no longer feel represented by the US government?” Says Mark Bradford, curator of the politically charged exhibition Tomorrow is Another Day at the American Pavilion. The LA-based artist addresses the discrimination of black, gay and other marginalised groups. Litter is scattered across the gravel in front of the Palladian building at Giardini. Inside, paintings and sculptures and video projections inspired by mythology address to the difficulties of those who feel on the periphery. 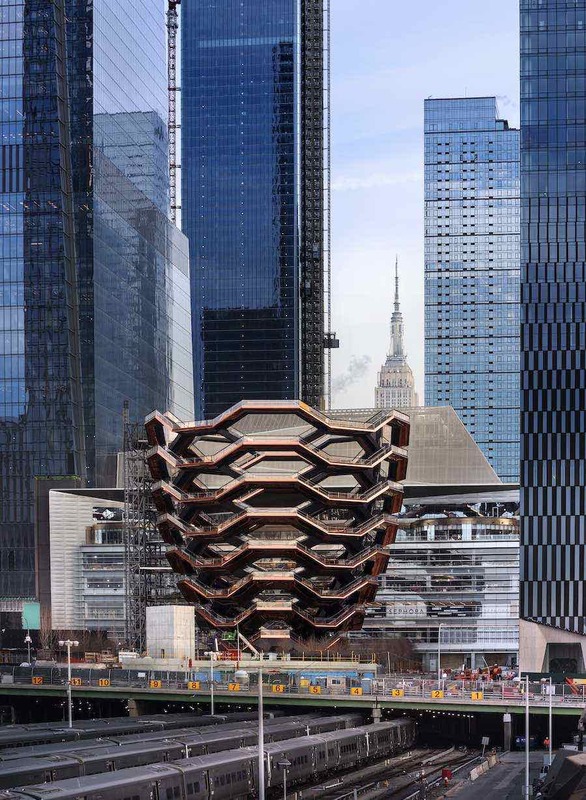 “I wanted this White House-looking architecture to feel like a ruin, like we went into a governmental building and started shaking the rotunda and the plaster started falling off. Our rage made the plaster fall off the walls”. Photo by Åsa Lundén-Moderna Museet Museet. 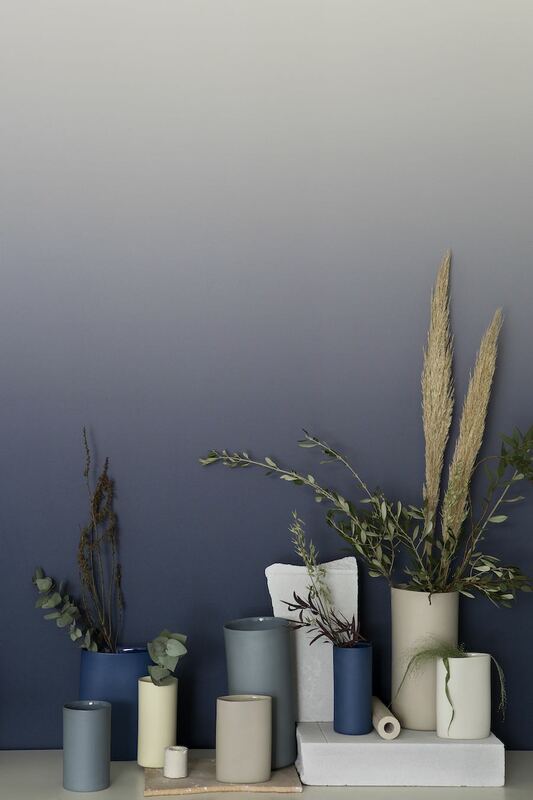 Titled Mirrored, the Nordic Pavilion exhibition at Giardini hosts the work of six artists from different generations who explore industrial material, digital space, or design experiments with moving images. 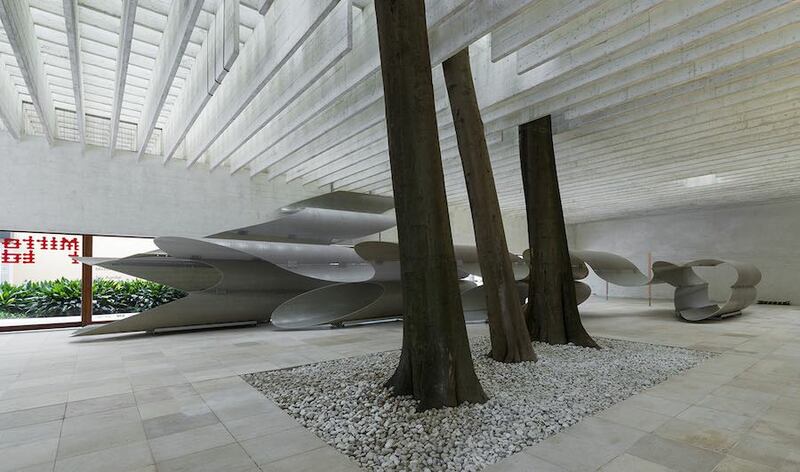 The centerpiece of the exhibition is the Onda Volante (Flying Wave) sculpture by Norwegian artist the Siri Aurdal. A giant a structure made of fiberglass reinforced polyester tubes relates with the architecture of the pavilion, originally designed by Sverre Fehn in the early sixties. 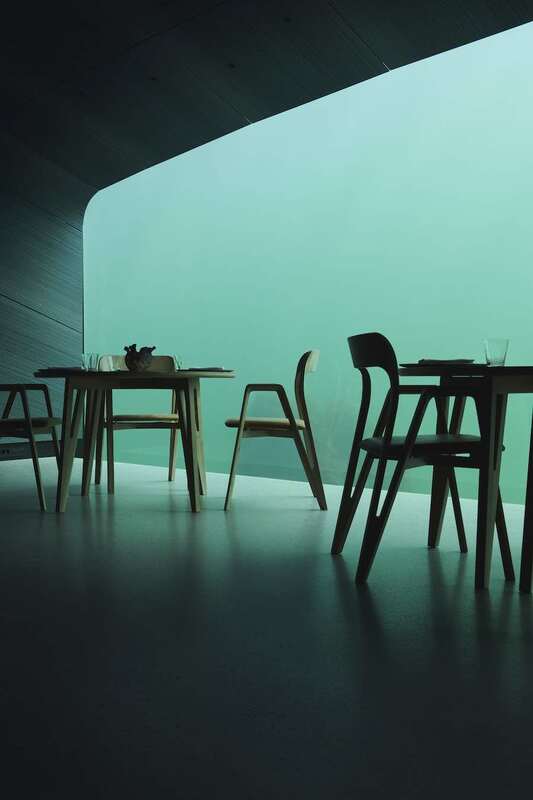 Like the building, Onda Volante wraps visitors in enclosed spaces as well as open the view to the surrounding outdoor landscape. 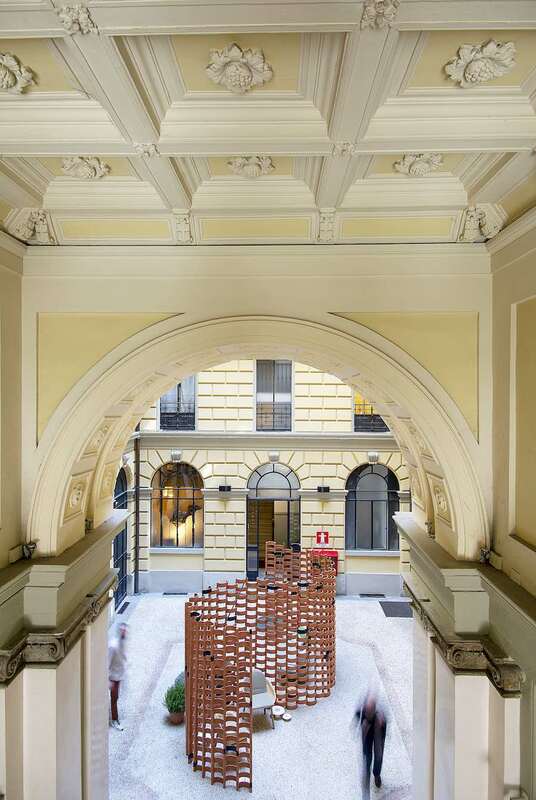 Mirrored is curated by Mats Stjernstedt for Malmö Moderna Museet. Photo by Studio Erwin Wurm ©Bildrecht, Vienna 2017. 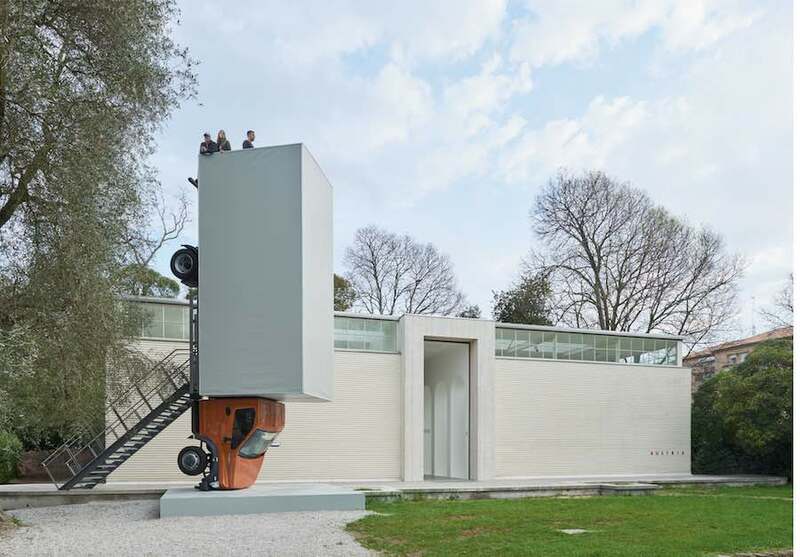 In front of the Austrian Pavilion, an overthrown truck invites visitors to climb and contemplate the Mediterranean see for a minute. Erwin Wurm invites visitors to follow instructions and interact the the exhibition to create performative One Minute Scupltures. 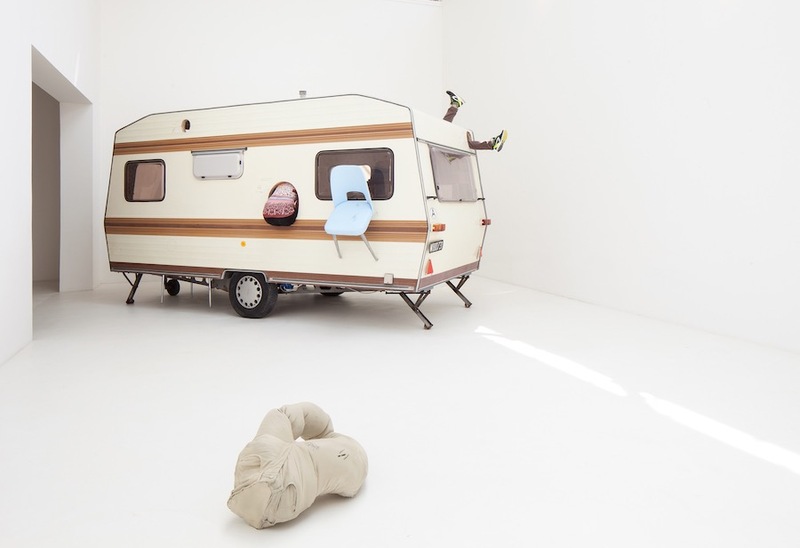 Enter the caravan and play with the furniture to assume odd positions. A pavilion extension hosts also Brigitte Kowanz’s lighting installation marking milestone moments of the ditigal era such as the first online website and the birthdate of Google, Wikipedia and the iPhone. The neon and steel designs are reflected by mirrors across the room. 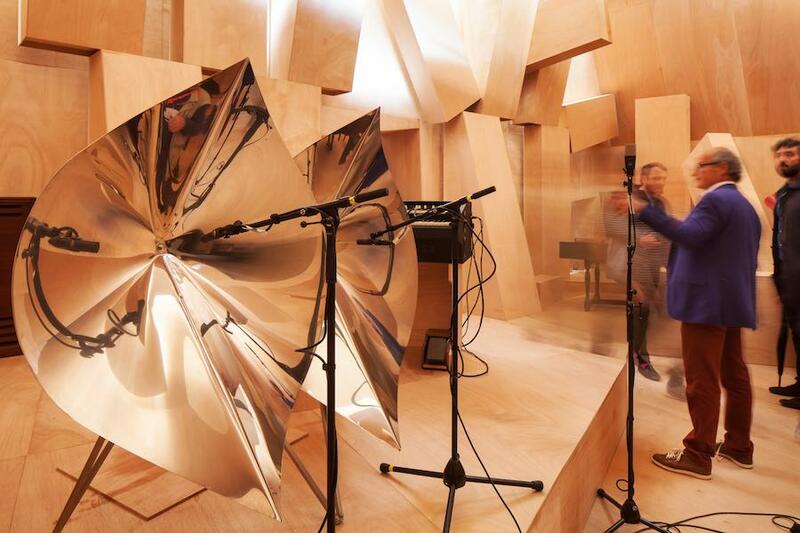 Sculptor Xavier Veilhan has transformed the French pavilion into a recording studio with sound proof faceted wooden walls and a proper stage. Over the next months over 100 musicians and will perform, record and experiment. Visitors will be able to discover exceptional musical instruments, some of which will be created for the occasion. 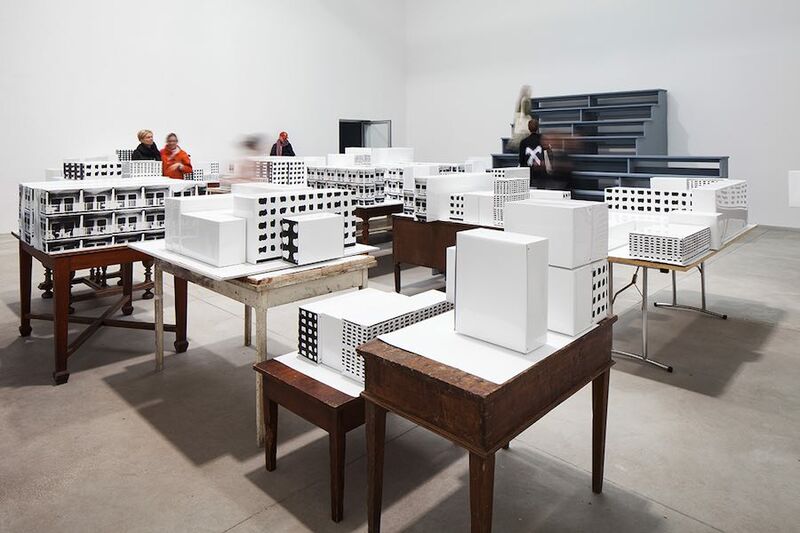 “Studio Venezia merges visual arts and music, with a nod not only to Bauhaus and the experiments of Black Mountain College but also Doug Aitken’s Station to Station.” Says Xavier Veilhan. Photo by Keizo Kioku, courtesy of the Japan Foundation, © Takahiro Iwasaki, courtesy of URANO. Floating shrines built above the sea, a steel towers budding from the threads pulled out of towels and Hiroshima chemical plants made of plastic rubbish. The Japanese Pavilion hosts Takahiro Iwasaki’s solo exhibition featuring three dimensional works created with everyday familiar objects. Titled Turned Upside Down, It’s a Forest, the show sheds a light on the economic and environmental challenges confronted by rural regions like nuclear energy and the development of resources, but also chemical plants that despite supporting the high growth of the postwar economy had been a serious cause for pollution. 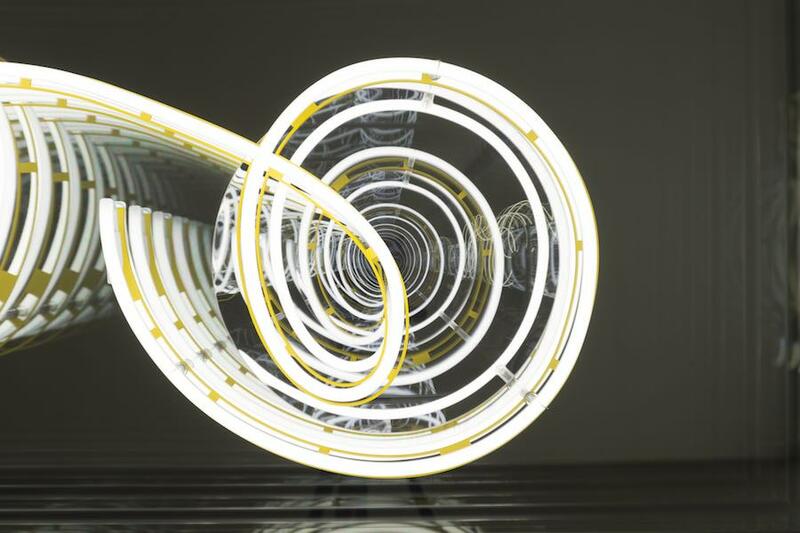 Cody Choi has made a neon installation called Venetian Rhapsody which reminds Las Vegas and Macau casinos streetscape. Located on the the roof of the Korean Pavilion, the piece represents “the art of bluff” attracting visitors to explore a completely different exhibition tackling Korean identity through the lens of recent world events and trends, such as the rise of right-wing populism. 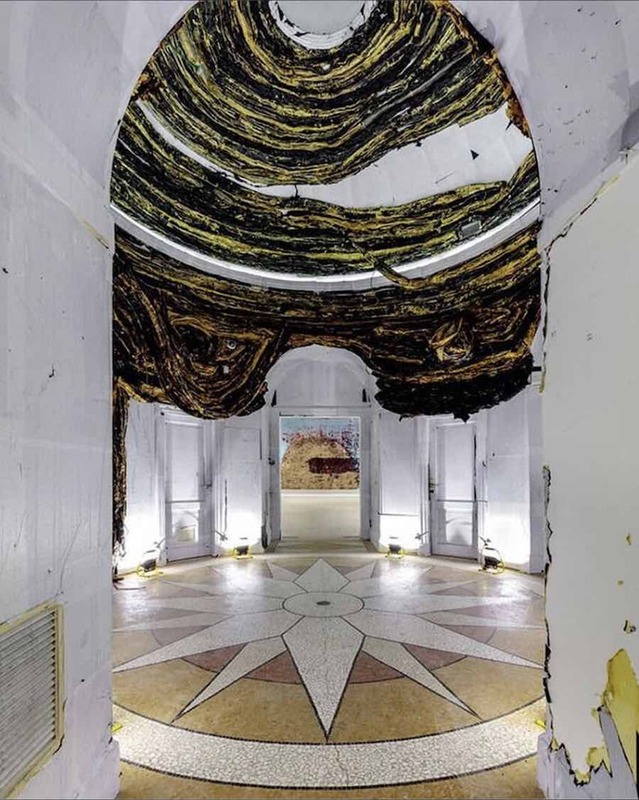 Tel aviv-based artist Gal Weinstein has transformed the Israeli Pavilion in a molding and decaying building for the Sun Stand Still exhibition. Inspired by a legendary Israelite warrior who commanded the sun to stop in order to finish his battle, the exhibition reflects on the human desire to stop time. 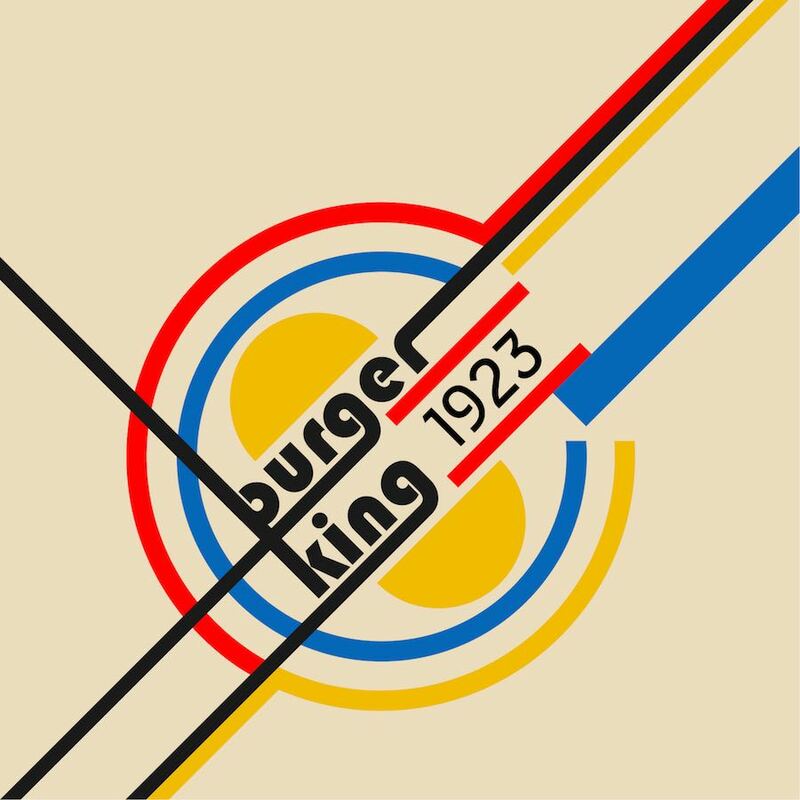 The exhibition narrates the country’s past, from the miraculous progress in technology and agriculture to times of neglect and destruction. On also puzzle-shaped agricultural plots filled with coffee dregs and video projections. 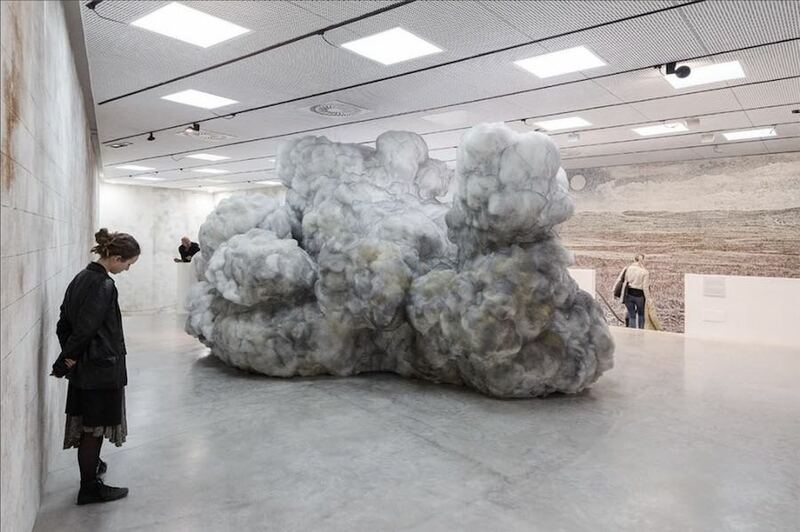 On the upper floor a sculpture made of acrilan fiber freezes the moment a missile is deployed. The exhibition can also be read as a post-apocalyptic vision, revealing the cost of human hubris. Photo by FG – Courtesy of 2017 Venice Art Biennale. With the ¡Únete! Join us! exhibition, Jordi Colomer focused on nomadism and created a series of videos and sculptures that compose provisional architecture. At the Spanish Pavilion, models, prototypes and scale reproductions made with painted tin modules are permanently shaken by high-powered fans, as in the continuous vibration of an excited city. “Colomer studies the way in which the modern city influences human behavior” commented curator Manuel Segade. Austria Pavilion; Brigitte Kowantz’s “iPhone 09.01.2007” – Photo by Tobias Pilz ©Bildrecht, Vienna 2017.